Robin Walker is also known as The Black History Man the foremost historian and writer on all matters related to ancient and medieval African history. Find out more about him here. How did Black people live before the Slave Trade? 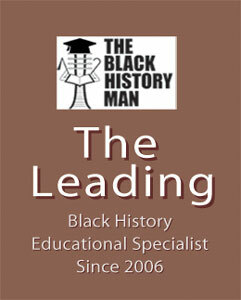 Is Kunta Kinte the limits of what we know? Where can someone learn the real deal? A key question is … What should we teach our children about Africa? 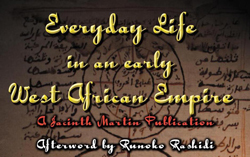 The book, Everyday Life in an Early West African Empire, addresses these and many other questions. 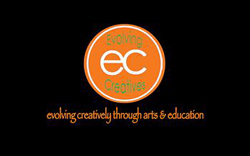 Dedicated to “Arts and Education” in the black community, believing that knowledge of ones “History & Culture” is the route to self empowerment. 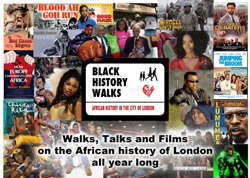 Black History Walks offer guided Walking Tours London to include the African history of London . These take place in St Pauls/Bank, Docklands, Soho, Trafalgar Square, Elephant & Castle and Notting Hill area from January to November and last 2-2.5 hours.